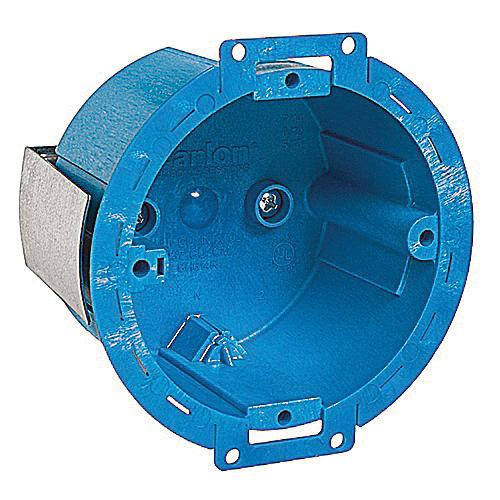 Thomas & Betts Carlon® Non-metallic old work ceiling box in round shape, has maximum capacity of 14.5-Cubic-Inch. Black box features PVC construction. It measures 3-1/2-Inch x 2-3/8-Inch. Box is base, ears and snap-in bracket mountable. It resists flexing and holds shape even in the worst applications. Box is suitable for non-metallic sheathed cable. Ceiling box is UL listed.